Web development is an ever-evolving segment and trends are changing faster than you can imagine. Staying ahead of game is what keeps you braced to demands that keep pouring in. To stay abreast with trends today is a good thing, but, a heads-up on trends tomorrow is something that puts you out of the league. 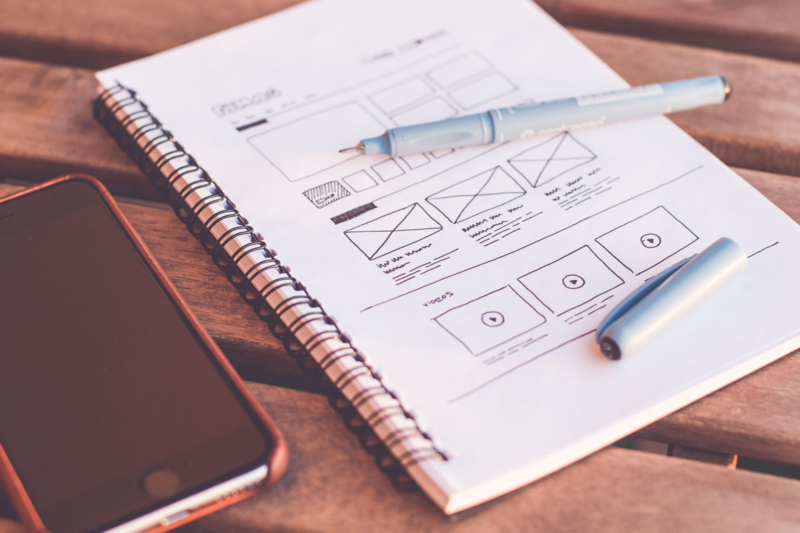 Though simplicity and user-friendliness remain the front-runners of web interfaces, users are also rooting for something to capture the mind’s eye and to experience something compelling. The scale of new web technologies is displaying quite some promising concepts and Motion UI websites are one of the leading ones. This highly effective frontend framework is used to build fully responsive web designs and mobile applications and provides the developers with a high-end medium to create motion within a native app setting. Motion UI offers predefined motions which are easily accessible and can be easily used for various website designs. When talking about web development trends 2018, this technology is quite popular for it allows the pleasing animation to be added to the website which renders a stylish look & feel and makes it an interesting place to be at. Despite all the glamour it adds to the website, it is sophisticated and highly compatible with other technological components. Motion UI holds the capacity to instil life in a minimalistic website through page header transitions, nice hovers, animated charts, background animations and modular scrolling. These interesting elements not only add fun to the interface but, they also make web surfing more meaningful by presenting useful information in striking ways. Art pieces of the sorts! It strategically directs the user’s attention to the areas needed as per the actual hierarchy of the web page, compensating the loss of heavy gradients. It helps the users to retrieve the exact information they need by pointing at the right location. It retains the 3D space of the display which otherwise would have been lost as shadows are no more a part of web designing. It enables prototyping of animated elements at a rapid pace and helps to integrate them seamlessly into the website. It enables the creation of base animations like slide, scale, hinge and spin etc which can be further improved by motion modifiers to control the speed, direction, ease of use, iteration and delay. There is no need to use SASS or JS File. Motion UI websites are a sight to behold when studded with animations used for the tasks such as loading spinners, creating eye-catchy CTAs and displaying error messages. CSS animations display content along with subtle movement which looks remarkably impressive. They simply break away the monotony of eye-straining chart images and static content for information display. Changing backgrounds and subtly moving elements that create a feeling of life on the website are what users like to encounter when they visit a website. Furthermore, users can scroll separate individual columns of a page or even the entire panel as a whole. They can also turn CTS buttons into progress bar buttons easily. For developers who are excited to try out the latest web developments trends 2018, the concept of Motion UI websites is something they cannot afford to miss on. They can experiment with different spots on websites or mobile app with this animation technology and play a little to create impressive web pages. This is the visual flourish which is actually changing the trends in web development and making way for better user interactions and shortening the big gap that lies between a click and a conversion.